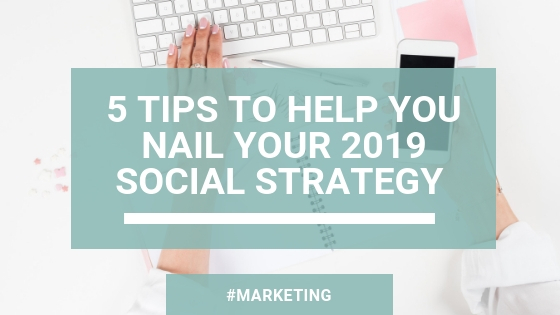 With the new year fast approaching, now’s a good time to take a step back and consider your 2019 social strategy. In this two-post guide, we’ll tackle your social marketing plan from two angles. In part one (that’s this post), we’ll look at the five steps you need to take to build a strong strategy. In part two, we’ll focus on what’s predicted to be popular in social media marketing in 2019. Are you ready to get started? Great. Let’s jump right in. The month or two leading up to a new year is as good a time as any to revise your approach and put new plans in place. This five-point guide will walk you through the essential steps. Making decisions in business can be tough, especially when you’re flying solo. One of the easiest ways to get clarity and improve your focus is to set clear goals and remind yourself of them regularly. As you’re looking ahead to your 2019 social strategy, review your wider business aims. Have you achieved what you set out to in 2018? Do you need to set new goals or revise existing ones? Once you’re clear on your ultimate aim, ask yourself how social media can help you get there, then put smaller SMART goals in place for each channel. 2. What does the data say? While our general advice regarding social media analytics is “don’t get too caught up in the numbers,” now is a good time to check in. What can you learn from 2018 that will help you with your 2019 social strategy? Take this opportunity to review your analytics in full. What’s been working well for you and what hasn’t? Have the demographics of your audience changed at all? Where are you seeing the most success? Which platform isn’t bringing any ROI? Look beyond your own data, too. What are the experts predicting for 2019? How can you get ahead and make the most of the time, money, and effort you put into marketing? (More on this in part two, where we’ll look at five of the biggest predictions for social media in 2019). If you’re struggling to make sense of the data, considering bringing in some specialist support to help you analyse and plan ahead. Armed with your goals and the data-backed conclusions you’ve drawn from your analytics, it’s time to think about streamlining. Where do you reach your people? What activities will you perform on each channel? Why those channels and why those activities? We use LinkedIn to connect with potential clients because it’s proven to be successful for us in the past. We’re focused on engaging with those who fit our target client profiles because we want to show them we’re interested in their work. We also publish original content that’s been designed to educate and inform these target clients. We do that to demonstrate our knowledge and to portray a helpful, generous, and supportive attitude. Once you know the where, what, and why, it’s time to figure out the when and how. Start with a top-level view of the year ahead. Plot the key dates that are important to your target clients and your own business. Think about events, anniversaries, launches, seasons, and holidays. Next, dive deeper into the detail. What needs to happen in quarter one, two, three, and four? When will you run campaigns to support launches or events? Will you have designated days or weeks for certain activities? It can help to have a good understanding of the difference between your baseline marketing activity and the extra work you’ll do for a campaign. How much work is involved in each, and how will you get it all done? Perhaps you can manage your baseline on your own, but you’ll need an extra pair of hands when it comes to running a campaign? Or maybe outsourcing your baseline will free you up to prepare and run your own campaigns? However you decide to action your 2019 social strategy, consider seeking flexible, virtual support from one of our trained social media specialists. You’re almost there. 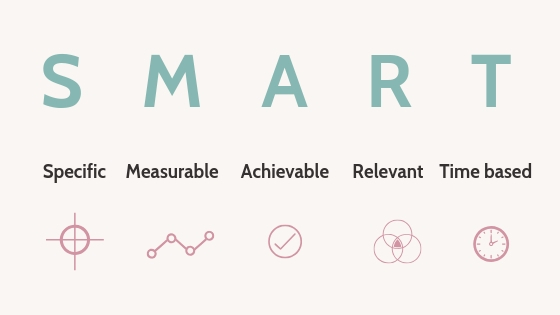 You know your goals, you’ve got the data, you can answer all the important questions, and you know who’s going to do what and when. Before you start doing the work, give yourself the time to get organised. Set-up a calendar or a task board so you can see important dates at a glance and look closer at specific details. Try out new tools and apps that might help you save time or produce better results, and start a conversation with a virtual assistant or social media manager. If you’re raring to go, start delegating early and get writing and creating ahead of time. If you do, you’ll be in a better position when those inevitable setbacks come knocking throughout the year. We’re excited to see what the year ahead has in store for you. For help developing your 2019 social strategy or to put a plan in place for making it all happen, drop us an email: enquiries@theassistantquarters.co.uk.